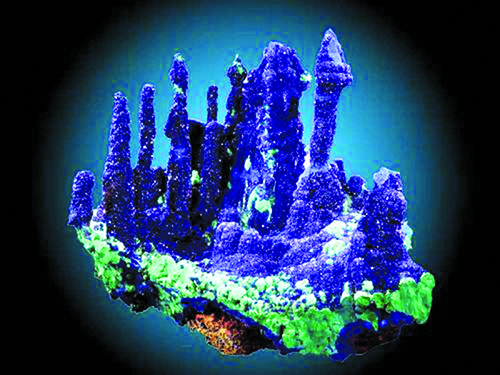 Mineral collectors certainly enjoy a variety of tastes in what they collect. Some stick to one species like quartz or calcite. In one case, I know a fellow who enjoys collecting just malachite in all its forms. Other mineral collectors take a broader approach to their specialized collection. They may stick to just thumbnails or miniatures, or one locality like Tsumeb or Bisbee, or one country. Others only collect the minerals from their state. My son, Evan, is well-known for his extensive Arizona collection. My collecting after World War II focused on luminescent minerals, culminating in my Master’s thesis, “Luminescent Minerals of Connecticut.” That’s the beauty of mineral collecting. It can be as broad or as narrow as a collector prefers. One unusual and rather limited type of mineral collecting is to collect specimens of stalactite minerals. It would be really fascinating to try while challenging a collector’s tenacity to maintain the search for fine examples of such odd specimens. After all, how often do you see a really nice, undamaged mineral stalactite? The very nature of such a physical form lends itself to easy damage when you are collecting in a mineral pocket. Any long, slender mineral protrusion hanging from the roof of a mineral pocket would, by its very structure, easily suffer damage. Like the sturdy stalactites we see in limestone caves, mineral stalactites form from dripping waters, except these waters are loaded with a mineral other than calcite, the normal cave stalactite mineral. I don’t know if you have ever noticed that in museum exhibits few if any specimens show a nice stalactite form, and I’ve never seen a large museum exhibit of just stalactite mineral specimens. The exception to that is exhibits of calcite limestone stalactites as a representative cave. But these are designed to show how cave formations develop, not to show off a variety of species in unusual forms. This article is not devoted to common cave formations, which, though impressive and quite beautiful, beg the purpose of this column. The subject here is to describe lovely, usually very delicate slender stalactites of collector minerals. In 1997, mining in the huge open pit at Ray East of Phoenix, collectors were treated to the discovery of a huge quantity of chrysocolla stalactite specimens. They were encountered in the still-active Pearl Handle Pit, where mining exposed a large open seam crowded with blue to blue-green specimens of chrysocolla. Instead of the usual solid chrysocolla-filled seam, this exposure was a large pocket arrangement in which had developed long, thick, sometimes curving fingers of chrysocolla from the copper-rich descending solutions. 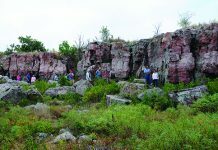 There were quantities of tight clusters, sometimes with as many as a dozen or so thick fingers of the copper silicate in tight sub-parallel groupings hanging like stalactites. The size of these growths ranges from pencil thin to thicker than your thumb to the base. They measure from a couple of inches long to 6, 8, even 10 inches long and can be single growths or clusters of a dozen or more co-joined stalactites. Most taper from a solid base, sometimes greater than an inch across to a near termination width of a quarter-inch. Most of the chrysocolla stalactites are smooth but usually undulating surfaced, showing what I consider growth patterns as the shaft of the stalactite varies slightly in thickness, suggesting changes in the solution richness. An odd feature in these chrysocolla stalactites is that many of them were curved. When stalactites develop, they are under the influence of gravity and tend to develop straight down. But sometimes an outside influence like air currents or even the direction of flow of the invading solution can cause a curvature or thickening on one side of the stalactite that can influence the overall shape. What happened here I do not know, but the chrysocolla stalactites from Ray, Arizona, are very attractive, quite unusual, and different from most stalactites. Keep in mind that chrysocolla is an amorphous mineral, only crystallizing in microscopic crystals. One feature of these chrysocolla stalactites is that their core is not some other mineral as happens when goethite serves as the basis for stalactitic growth, upon which later-forming minerals attach. 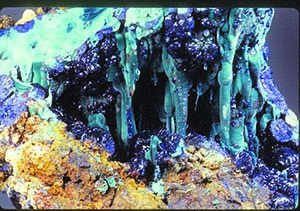 Most mineral stalactites start out with a goethite or other mineral core, on which the other species develop. On the broken ends of a stalactite from here, you might expect to see a tiny opening down the center of the specimen, forming a small opening or tube down which fluids could drip and from which the outward growth of the stalactite develops. When such straw-like openings do not exist, the stalactite had to have grown as waters dripped down the exterior of the stalactite, suggesting the growth occurred externally. As long as fluids continued down the outside of the stalactite, it would grow thicker and thicker. 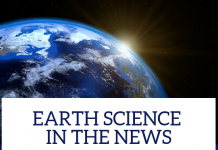 This might suggest that the undulating external form of the stalactite could be related to seasonal wet-dry time periods. What makes some of these Ray mine chrysocolla stalactites really special is that later silica-rich solutions got into some of the stalactite pockets and areas, and bright, sparkling quartz crystal points formed on the earlier formed chrysocolla stalactites. The quartz points completely cover the stalactites and is often microscopic but brilliant and transparent. 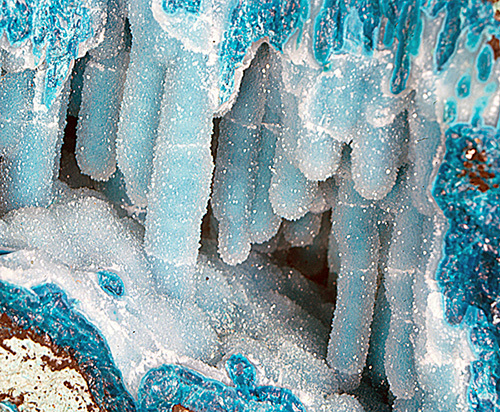 The image of the blue chrysocolla stalactite is seen through the sparkling crystallized quartz covering. As exciting as this find was, the important thing to point out here is that the company realized they had an important find. 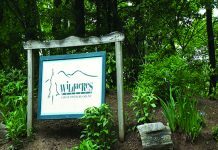 They hired an experienced miner-specimen digger, Andy Clark, to collect all the specimens and arrange them in lots for sale, and auctions were held for local collectors and dealers to bid. This was a win-win situation. The company made money, and collectors got wonderful specimens that would otherwise have gone to the crusher. One of the most common stalactite mineral forms seen as slender stalactites is goethite. This hydrous iron oxide seems to have a penchant for forming stalactites where space allows. Goethite is a secondary mineral and is easily formed from solutions descending into open cavities in a deposit. The goethite may form stalactites that are not part of the original pocket solution. Such hanging protrusions can offer points of attachment for minerals in later invading solutions that enter the pocket. When a point of attachment is available, a mineral that is dissolved in a later invading solution may start crystal growth in the right conditions, and the goethite stalactite suddenly is decorated with another mineral species. Here in Arizona, there have been some major finds of stalactite minerals that have produced spectacular specimens. One of the more spectacular stalactite pocket discoveries happened at the Morenci copper mine in 1986. Fortunately, the company was smart enough to have issued specimen collecting contracts earlier, so when blasting and mining opened any crystal veins or pockets, the specimen collecting team would be notified. As long as collecting did not interfere with mining operations, specimens could be retrieved. In that year, a large series of pockets of azurite had been opened and was made available for collecting. The pockets were full of goethite stalactites on which countless small, brilliant blue azurite crystals had developed along the entire length of each stalactite. Some stalactites were covered with blue crystals. Others had a smattering of such crystals. All were stunningly beautiful! The initial excitement in seeing such a find was quickly tempered when diggers realized that most of the stalactites had cleaved or broken off the matrix and lay scattered in the pockets. The Morenci stalactite pockets were found when the company decided to mine an old oxide area left dormant for years. Mining resumed in 1986 and the stalactite pockets would have been destroyed except the company had agreed to a specimen collecting arrangement so when crystals were encountered they could be collected and saved. When the collecting group went to work extracting the entire pocket lining from which the stalactites were first mined, they also collected every one of the broken stalactites in hopes of reattaching them to the pocket matrix that was also collected. Then the fun really began! 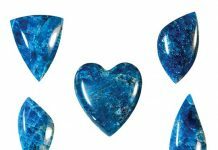 Over a period of many months, the basic matrix pieces were examined, and the broken azurite bases on each stalactite were examined in hopes of matching the azurite-covered stalactites to where they had originally formed. Luckily, the cleaved stalactites were near-perfect, and finger after finger was fitted back where it belonged, returning each stalactite to its original place on the specimen. The result was a spectacular specimen after it was assembled to its original form of geothite decorated with very lovely blue azurite crystals. These very showy and quite rare specimens were snapped up by collectors as soon as they were marketed. But that’s not the end of the story. My son, Evan, could not afford a good Morenci multi-stalactite specimen. The best he could buy was a single stalactite with azurite crystals that had not found its original home. 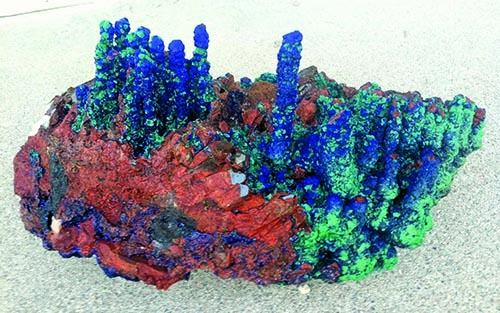 Several years later, Evan was able to accumulate enough trade material and cash and finally made a deal to add a fairly large Morenci stalactite azurite specimen cluster on matrix to his Arizona collection. This specimen was brought home. The specimen was shown to Marc Miterman, who observed that the single stalactite purchased earlier looked like it might fit on a place on the big specimen that was missing its stalactite. Sure enough, it fit and the big specimen was now complete. A sharp eye and real luck brought the two pieces together again! Another source of stalactites is Morocco. The vanadinite mines of Mibladen have yielded long, slender goethite fingers beautifully decorated with bright red, sharp vanadinite crystals. These are quite rare but very appealing when found, as they are exceptional and uncommon to say the least. 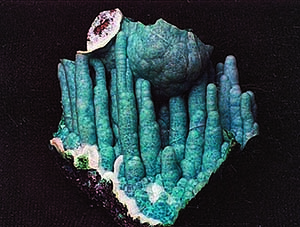 Morocco has also produced azurite-malachite stalactites, somewhat like the Morenci specimens. They are very attractive and extremely colorful. The stalactites with their azurite decorations are shorter than the Morenci fingers, seldom over a couple of inches high. But the few I’ve seen are not repaired! I believe these Moroccan stalactites are a one-of-a-kind find from there. 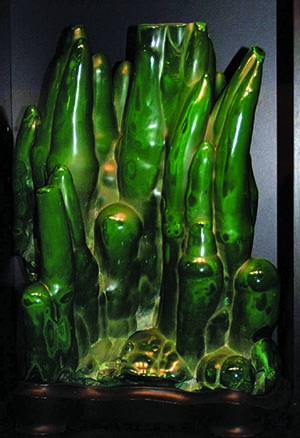 Malachite is another mineral that forms stalactites. It is a secondary mineral, so solutions can drip into openings in copper deposits, bringing with them malachite. The huge deposits at Zaire have yielded large quantities of such specimens, some of them quite spectacular. This writer has an 80-pound malachite stalactite with fingers 2 inches thick at the base and extending well over a foot high. This source has undoubtedly produced a greater number of stalactite type specimens than any other deposit I know about. Stalactite specimens are not common. By their very nature of formation, they are limited – and by their fragile nature even more so. This suggests that if you see a good stalactite specimen, pick it up. It adds yet another dimension to your collection.